Simulation Educator-Advanced: CHSE-A. There are only 16 recipients so far in the world and Sev is the first physician awarded this status in Canada. Ms. Satterthwaite holds an RPN diploma from Scarborough General Hospital and an honours diploma in Operating Room Techniques from Humber College. Lisa offers consults for the development of medical education programs. Anna has come over from the Surgical Skills Centre. Anna is a graduate from McMaster University with a dual Honours Bachelor of Science in Neuroscience, Psychology & Behaviours (NPB) and Biology. Her strong initiative and passion for medicine allows her to contribute to the simulation scenarios that take place at SimSinai. Ms. Thomas is in the office 9-5 Tuesdays, Thursdays and Fridays. Ms. Thomas comes to us from the University of Toronto's Surgical Skills Centre where she began working in the lab part-time in 2005 after graduating with a Bachelor of Arts in Bioethics from U of T in 2000. Ms. Thomas appreciates that while at work, she is able to continue her learning experience. Debbie has enjoyed a long career as a critical care nurse and educator in the ICU. In addition to nursing, Debbie provides clinical training for the Centennial College paramedic program. Debbie has been teaching and course directing ACLS, BLS and BLS instructor courses for over a decade. Her favorite moments are always when a prior student lets her know they used the ACLS or BLS skills in real life, and that their training made a difference in both their confidence and the code team performance. Scott has been teaching ACLS for more than 2 decades. His first start in his medical career was as a primary care paramedic in a rural ambulance service. From there Scott went onto work as a critical care flight paramedic for over thirteen years. Michelle is one of the most experienced ACLS instructors in Ontario and has taught thousands of providers throughout the province. 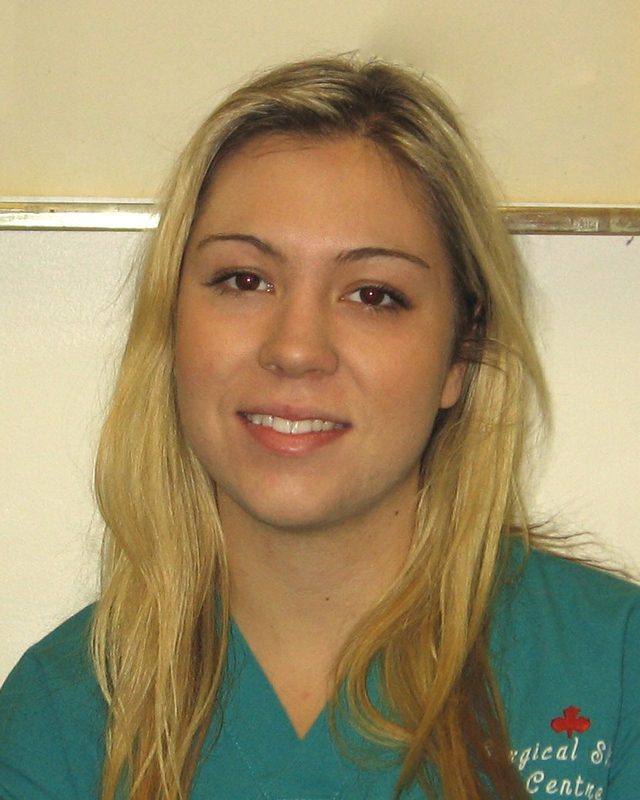 Ms. Cleland is a nurse who specializes in Critical Care and Coronary Care. She is currently working at UHN in CVICU. An Emergency physician at the Schwartz/Reisman Emergency Centre at Mount Sinai Hospital, Dr. Mawji has been actively involved in medical education at both the undergraduate and postgraduate levels since joining the department in 1998. In 2014, she received her simulation instructor training at Harvard’s Centre for Medical Simulation and hasn’t looked back. She enjoys integrating high fidelity simulation into all aspects of medical education as a means to promote critical thinking, teamwork, and life-long learning. A staff Emergency Nurse at the Schwartz/Reisman Emergency Centre here at Mount Sinai Hospital, his bad karma in the clinical environment has translated into his becoming an experienced resuscitationist. He has received numerous teaching awards, and has also taught at Centennial College, George Brown College and the Michener Institute. Additionally, Vince has extensive remote medical experience providing health care in developing countries, and can often be found on the medical teams for many local fundraising events. Dr. Chernoff is a Staff Emergency Physician, and the Ultrasound Lead, in the Schwartz-Reisman Emergency Centre at Mount Sinai Hospital. He has been a full-time Emergency Physician since 1998, has completed Fellowship training in Point of Care Ultrasound, and holds Master Instructor certification with the Canadian Point of Care Ultrasound Society. Dr. Chernoff has extensive teaching experience with ultrasound, and it is his mission to help other providers learn these invaluable skills! His work at SimSinai has focused on integrating ultrasound with resuscitation and simulation. Carrie has over 20 years experience in critical care and cardiology. She is an ACLS instructor and course director at TEGH, an instructor at SimSinai as well as holding a full time professor position in the health sciences department at centennial college. She holds a master's degree in nursing and education and is passionate about teaching and learning. Dr. Koblic is an Emergency Physician working in the MSH Schwartz-Reisman Emergency Centre since 2012. He is a certified ACLS and BLS instructor, and is very active in simulation education with SimSinai. He enjoys working with learners ranging from early residency to the CCFP(EM) and SEME fellows, and he has received training in simulation at the Mayo Clinic in Rochester, MN. Dr. Christie Lee is currently the education site coordinator for critical care. She is involved with both simulation teaching and education research. Christie has coordinated and led various simulation components as part of General Internal Medicine and ICU academic half days at Mount Sinai Hospital. Dr. Lee hopes to continue collaborating with all of the great initiatives through the SimSinai centre. Dr. Devine currently coordinates the simulation components of the Internal Medicine academic half day, organizes and conducts in-site mock code blue scenarios in Mount SInai hospital and teachs ACLS courses. He also delivers conference workshops on various topics in simulation. Dr. Devine hopes to continue to be involved with all of the great initiatives at SimSinai and looks forward to developing and implementing simulation in any realm where it will be beneficial. Dr. You-Ten is actively involved in both simulation research and education. His research includes in-situ simulations, high stakes technical skills and non-technical skills. Over the past 8 years, Dr. You-Ten has been teaching and training anesthesia residents at all levels in airway crisis management. He is the director of the PGY1 Anesthesia Airway Course consisting of 15 hours of hands-on training and crisis simulations.